Enjoy the top 1 famous quotes, sayings and quotations by C.J. Sinclair. 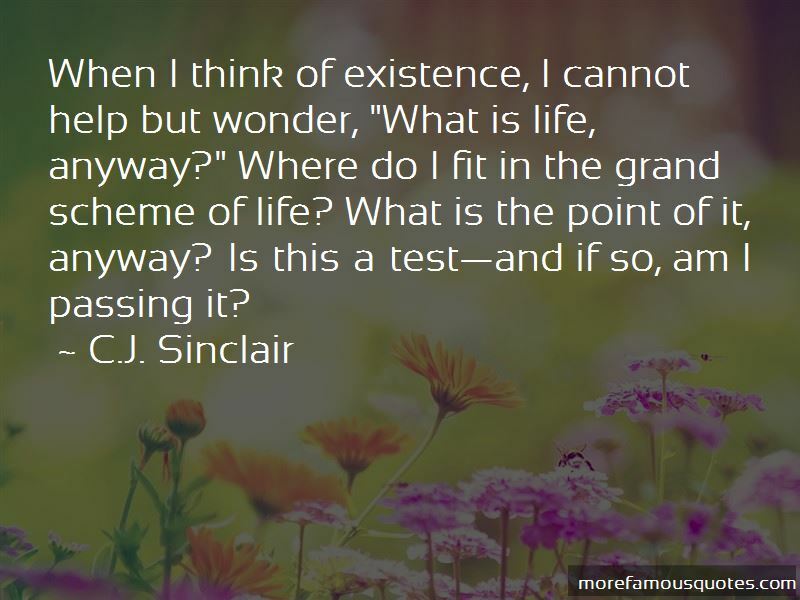 When I think of existence, I cannot help but wonder, "What is life, anyway?" Where do I fit in the grand scheme of life? What is the point of it, anyway? Is this a test-and if so, am I passing it? Want to see more pictures of C.J. Sinclair quotes? Click on image of C.J. Sinclair quotes to view full size.